The first local rose society on the World Wide Web! The entrance to O'Connor hospital is at the signal on the corner of Forest Avenue and Di Salvo Avenue. Our meeting room is in the auditorium of the Medical Office Building. 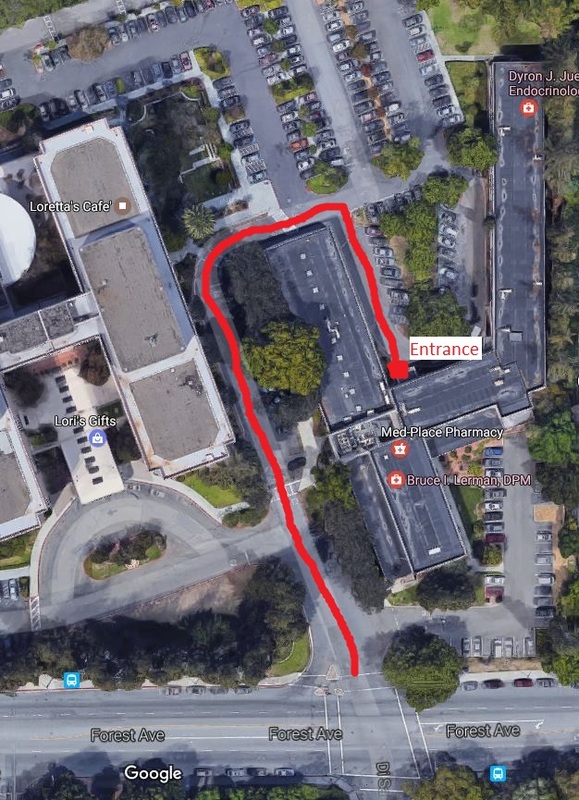 As you enter the hospital driveway at the corner, continue to proceed straight to reach the Medical Office parking lot area as shown in the pictures below. Turn into the hospital at Di Salvo entrance. Upon entering, drive straight. Earth view map to Medical Office Building entrance. 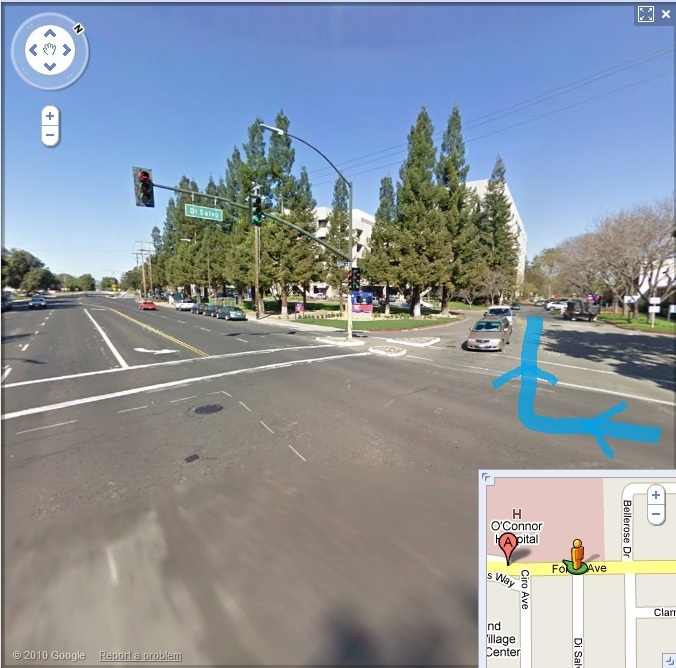 Continue driving straight past the Stop sign which leds to the Medical Office parking lot. The road makes a 90 degree turn to the right at the stop sign. Continue driving to the Medical Office parking lots. The parking lot on the right is closest to the Medical Office Building entrance. There are numerous parking space areas in the Medical Office parking lot with signs like this. The Medical Office Building entrance from the parking lot which leds to the auditorium where we hold our meetings.